Android Reborn – One of the problems that often happen to Galaxy A5 is overheating that causes the battery low faster. 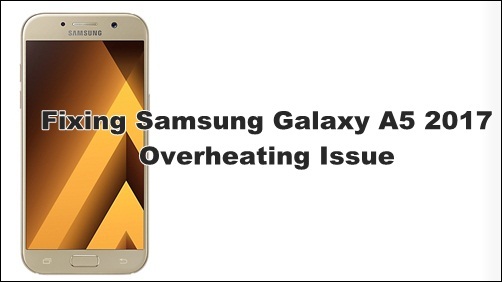 So, it is important to know to fix Samsung Galaxy A5 2017 overheating issue. Overheating may happen to any mobile phone. So, if overheating happens to your Galaxy A5, you can fix it with the following steps. Don’t use Galaxy A5 when you charge the battery. Don’t run too many apps or games at the same time. Restart your device at least once a day. When overheating happens, turn off your device, leave a few minutes and then turn it on again. Firstly, you can keep your mobile device smooth using an app. There are many apps that you can try. I suggest you use Greenify. Download and run it then. This app cannot only prevent overheating but also keep the battery last longer. Besides that, you can also try minimizing the brightness of your device. With minimum brightness, overheating can be fixed. Then, you can also change the settings of Galaxy A5 to extend the battery and keep the device smooth all day. You can also use teak GPS setting, and your device will not overheat. Lastly, you can try modifying the sync setting because it can also stop overheating and prevent the battery to drain fast. That is all to fix 2017 Samsung Galaxy A5 overheating issue. If overheating still happens, you may need to replace your old battery and get the new one because the battery may also be the cause of overheating.